When a decision has been made to sell residential or commercial real estate, the seller must provide a Section 32. This document sets out the title, planning restrictions and other important and relevant information that affects the land. A contract to sell real estate WILL NOT be binding unless the Section 32 is properly prepared and complied with. In order for the Section 32 to be compliant the seller must provide a signed Section 32 Statement to a purchaser prior to the purchaser entering into a contract to purchase the real estate from the seller. Melbourne Property Conveyancing P/L can prepare a Section 32 very quickly and efficiently. As the seller you have the right to determine the terms of the contract. Melbourne Property Conveyancing P/L will ensure that the contract used will be to the seller's advantage. Upon the contract being signed, Melbourne Property Conveyancing P/L will write to the seller's bank advising of the sale and request a payout figure and discharge of the bank's mortgage. Shortly prior to the settlement date Melbourne Property Conveyancing P/L will make settlement arrangements with the discharging mortgagee. A settlement date is always specified in the contract of sale. Melbourne Property Conveyancing P/L will help co-ordinate the time for settlement with all parties. At the settlement the mortgage on the sale property is paid out and a cheque is collected in favour of the seller for the difference between the sale price and the bank's discharge amount. 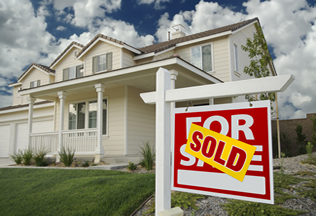 The seller must provide access to the subject property to the purchaser. The purchaser is entitled to a final inspection during the week prior to settlement. The purchaser is correct to expect that the property be in the same condition at the final inspection as it was on the day of their purchasing of the property. The purchaser will contact the seller's agent to make the arrangements for the final inspection. The seller MUST vacate the property on or before the settlement date. The seller will leave the keys with the selling agent for collection by the new owner. Melbourne Property Conveyancing P/L will notify the seller and the agent of the settlement at which time the seller will instruct the agent to release the keys. 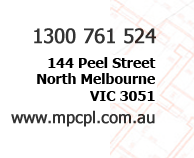 Melbourne Property Conveyancing P/L will advise the council, water authority & body corporate (where applicable) of the change of ownership. The seller must arrange for the final readings for the gas, electricity & telephone.